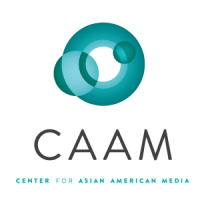 The Center for Asian American Media is one of five minority public broadcasting consortia designated by the Corporation for Public Broadcasting to provide programming to PBS. The National Minority Consortia (NMC) has emerged as a leader in the field of independent filmmaking and more recently in digital media. We fund film and media makers, present works on public television and other venues, exhibit films and videos, and distribute works to schools and libraries. In addition, we facilitate a new media institute, production training, skills advancement, and career development through workshops, lectures and counseling. Our collective growth is a testament to the creativity and commitment of our staff, board members, funders and community partners across the country. As we collaborate, we provide a model for collegial support, mutual development and growth. Together we serve the needs of our communities by presenting thought-provoking programming that encourage dialogue, nurture respect, and promote understanding. The NMC’s high quality programming builds new and diverse audiences, with an eye towards cultivating future stakeholders in public television. With primary funding from the Corporation for Public Broadcasting, the NMC serves as an important component of American public television, by nurturing the next generation of diverse media makers and program managers. Moreover, the NMC creates an awareness of the value of public media among communities which have historically been untapped by public television. Through innovative outreach campaigns local screenings of works destined for public television, and promotion of web-based information and programming, communities of color are embraced rather than ignored. The NMC’s work in educational distribution further increases the value of public television programming by sharing its works with thousands of students. The shifting non-profit landscape presents new challenges. We have witnessed the transformation of a peaceful and prosperous nation to a nation contending with a dramatic decline in public and corporate funding. Yet, the NMC’s relevance and collective strength has allowed us to overcome obstacles. However, while we have experienced notable success, much work lies ahead. Not only has the NMC’s collective expertise and knowledge proven to be our most valuable asset, but it has also allowed us to leverage opportunities and create partnerships to further our missions. From 1997 to 2002, the NMC delivered over 88.2 hours of quality public television programming. Collectively, we have also funded 223 projects and 422 producers/directors. These accomplishments have been recognized with over 123 prestigious national and regional awards, including numerous Emmy Awards. We are committed to serving our constituents and increasing our visibility upon the American public. The past 25 years of work by the NMC has built a foundation for growth and contributed to the nation’s appreciation of diverse cultures. With continued support from public broadcasting, foundations, corporations, diverse communities, and the public, the NMC strives to reach even greater heights.